We have been learning to write descriptions. We listened to the sound of wolves howling and looked at images. Then we had to describe what the wolf looked like and how it might act. 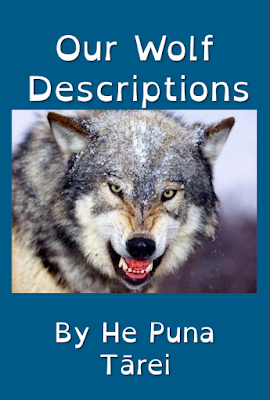 We published our descriptions on Book Creator - click on the link below to go to book creator to read it. Great descriptions Room 4. I particularly enjoyed listening to you all reading your stories. Book Creator is certainly a great way to present your work. Ms B.
Hi He puna Tarei,I like your wolf man. It's so boyish and cool. My second favourite animal. I like all of the wolf descriptions. You must have worked really hard to get them done. Hi He Puna Tarei, me and my friend Zavier love your great wolf. It's so awesome, but who started making it first. Hi again He Puna Tarei and once again I'm blogging on your description of your wolf. Your description is wonderful but did all of He Puna Tarei make it take away the absent people that day or just a few of you? I like you wolf book. 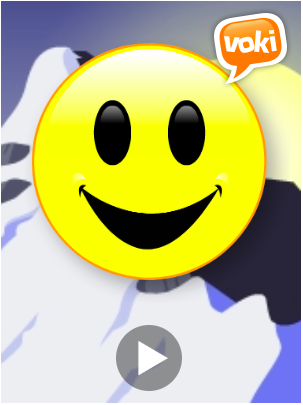 I enjoyed listening to you read your stories.